The Best Nature blogs from thousands of top Nature blogs in our index using search and social metrics. Data will be refreshed once a week. Also check out Nature Podcasts and Top Nature Youtube Channels list for Top videos on Nature. Nature newsletter is a comprehensive summary of the day's most important blog posts and news articles from the best Nature websites on the web, and delivered to your email inbox each morning. To subscribe, simply provide us with your email address. Worldwide About Blog Latest science news and analysis from the world's leading research journals, jobs, information and services. Facebook fans 832,019. Twitter followers 1,887,731. Planet Earth About Blog Mother Nature Network is the world's leading source for environmental news, advice on sustainable living, conservation and social responsibility. Facebook fans 881,143. Twitter followers 194,254. Los Angeles, CA About Blog Live nature cams, world-class wildlife photos, and educational films. explore.org is the philanthropic multimedia division of the Annenberg Foundation. Its mission is to connect people with extraordinary cultures and ideas, to inspire lifelong learning, and to cultivate the spirit of compassionate giving. Facebook fans 6,330,738. Twitter followers 112,532. HQ - Arlington, VA About Blog This blog is written by a diverse group of passionate people who believe in CI’s mission to safeguard nature’s critical services for the well-being of all of us. Authors include members of our global staff working in more than 25 countries, as well as valued partners with whom we team up to guide our efforts and extend our impact. Facebook fans 365,596. Twitter followers 137,021. Global About Blog The world is an amazing place full of stories, beauty and natural wonder. Watch BBC Earth's YouTube channel and meet your planet. Facebook fans 7,843,833. Twitter followers 419,177. San Francisco, CA About Blog This is community for sharing fascination about nature. Also discuss endangered parts of nature and meet other nature enthusiasts. Facebook fans 1,167,498. Twitter followers 526,512. About Blog Mark Avery is an environmental campaigner, blogger, author and writer provides comments and views on nature conservation. Facebook fans 2,588. Twitter followers 30,843. Ottawa, Ontario, Canada About Blog Our mission is to protect and conserve wildlife and their habitats in Canada by engaging people and advocating on behalf of nature. Facebook fans 18,932. Twitter followers 55,937. Seattle About Blog The Nature Conservancy is a leading conservation organization working around the world to protect ecologically important lands and waters for nature and people. In Washington, the Conservancy has helped protect more than 550,000 acres of irreplaceable natural lands and waters since 1959. Facebook fans 115,293. Twitter followers 7,907. Boulder, Colorado About Blog Good Nature Travel is an adventure travel blog by WWF and Natural Habitat Adventures, the leaders in world-wide nature and wildlife travel tours. Facebook fans 33,820. Twitter followers 3,793. Berkeley, CA About Blog Bay Nature Institute inspires people through media and personal experience to explore and protect the diverse and beautiful natural world of the San Francisco Bay Area. Facebook fans 8,131. Twitter followers 8,085. Arlington, VA About Blog The Nature Conservancy is the leading conservation organization working around the world to protect ecologically important lands and waters for nature and people. Facebook fans 4,988. Twitter followers 12,732. Tambopata, Peru About Blog Rainforest Expeditions is a Peruvian Ecotourism company established in 1989. It operates 3 comfortable lodges in the Tambopata National Reserve. Programs offer integration of nature and culture in the Amazon rainforest aimed at providing a good overview of life in the rainforest. We at Rainforest Expeditions are passionate about nature, and committed to both our guests and our local partners. Facebook fans 37,006. Twitter followers 1,539. Salt Lake City, Utah About Blog This page accompanies a soon to be published nature guide on the Rocky Mountains and a blog that is full of fun nature facts and tips for parents. New York About Blog Watch full episodes of your favorite PBS shows, explore music and the arts, find in-depth news analysis, and more. Facebook fans 758,485. Twitter followers 97,146. USA About Blog The Center for Systems Integration and Sustainability at Michigan State University integrates ecology with socioeconomics, demography and other disciplines for ecological sustainability from local, national to global scales. Facebook fans 107,207. Twitter followers 3,626. Facebook fans 8,625. Twitter followers 7,776. Houston, Texas About Blog Biology and other science news items from Nature News, the popular science syndication arm of the premier international science publisher, the Nature Publishing Group. Nature News is an authoritative and accessible online roundup of what's new in science research. Facebook fans 281. Twitter followers 259. About Blog Follow this podcast for celebrating everything botany. From the smallest duckweed to the tallest redwood, the botanical world is full of wonder. Facebook fans 38,589. Twitter followers 4,907. Toronto, Ontario About Blog Written by conservation experts and professionals in the field, Land Lines offers a wealth of cool facts and thought-provoking reads about the Nature Conservancy of Canada’s cutting-edge conservation research and discoveries. The Nature Conservancy of Canada (NCC) is Canada's leading national land conservation organization. Facebook fans 109,623. Twitter followers 36,468. Ontario About Blog Ontario Nature is the leading voice in the promotion and preservation of Ontario's natural environment through the creation of parks and nature reserves, the responsible management of forests, and the protection of rare, threatened, and endangered species. Facebook fans 13,895. Twitter followers 23,494. San Francisco, CA About Blog NatureBridge is a leader in overnight environmental science education for America’s youth with programs in six national parks. Facebook fans 7,882. Twitter followers 5,116. San Mateo, California About Blog John Muir Laws is a naturalist, artist, and educator who has dedicated his work to connecting people to nature through art and science. Posts on art, drawing, sketching, birds, nature, stewardship, conservation, and environmental education. Facebook fans 4,401. Twitter followers 922. Woodway, Houston About Blog Houston Arboretum & Nature Center offers an escape from the hustle and bustle of city life and the opportunity to experience the natural world. Its mission is to provide education about the natural environment to people of all ages and to protect and enhance the Arboretum as a haven and sanctuary for native plants and animals. Facebook fans 19,222. Twitter followers 2,230. California, USA About Blog Creative nature photography by Floris van Breugel. Explore his beautiful landscape and wildlife images, purchase fine art prints, search stock photos, and sign up for workshops. Facebook fans 5,747. Twitter followers 21. West Cork, Ireland About Blog Get closer to the wild side of Ireland with great articles, reviews, species profiles and wildlife experiences. Their mission is to promote the enjoyment, appreciation and conservation of Ireland's rich natural heritage for everyone. Facebook fans 17,459. Twitter followers 11,529. Nova Scotia, Canada About Blog We provide quality nature-based mentoring opportunities for passionate individuals who want to gain a solid grounding of connection and knowledge in their own bio-region. Helping people learn and connect with nature through their senses. Discover the tools that help you activate your full potential & be a leader for positive human ecology. Facebook fans 355. Twitter followers 67. Kingston, AR About Blog On the Madison Woods blog at Wild Ozark Madison writes about and photographs Nature in the Ozarks, especially the plants of the Ozarks. Facebook fans 825. Twitter followers 5,737. Portland, OR About Blog A simple experiment with nature. Born from the limb of a Mandrone tree, a rusty pair of cabinet hinges, and lenses from the corner store, Shwood has been a curious endeavor from the beginning. An endeavor to create a product that encompasses the individuality and uniqueness that can only be found in natural surroundings. Facebook fans 76,648. Twitter followers 6,298. Columbus, Ohio, United States About Blog I am a lifelong Ohioan who has made a study of natural history since the age of eight or so - longer than I can remember. A fascination with birds has grown into an amazement with all of nature, and an insatiable curiosity to learn more. One of my major ambitions is to get more people interested in nature. The more of us who care, the more likely that our natural world will survive. Facebook fans n/a. Twitter followers 1,488. Lincoln, Nebraska About Blog Nature Explore is a collaborative program of the Arbor Day Foundation and Dimensions Educational Research Foundation. The mission of this comprehensive, research-based initiative is to help children and families develop a profound engagement with the natural world, where nature is an integral, joyful part of children’s daily learning. Facebook fans 13,046. Twitter followers 1,181. About Blog We have thousands of specimen images, labels and ledgers from museum collections and the biologists who maintain those collections. These contain information about the where and when a species was found in the past. Facebook fans 608. Twitter followers 574. Owings Mills, MD About Blog rvine Nature Center is a non-profit environmental education organization whose mission is to inspire appreciation and respect for the natural world. Facebook fans 6,280. Twitter followers 2,671. About Blog My name is Barb McCoy. We started this blog to share our adventures using the Handbook of Nature Study with other families and it has developed into a community of nature study lovers. Facebook fans 7,072. Twitter followers 745. Colorado About Blog The Nature Photo Guides blog features articles, commentary, tutorials, and practical information for landscape and nature photographers, featuring the photography and writing of Sarah Marino and Ron Coscorrosa. Facebook fans 6,031. Twitter followers 2,181. Co Fermanagh N.Ireland About Blog My name is Dara McAnulty and I am a 12 year old naturalist from Co Fermanagh N.Ireland. I am passionate about conservation and wildlife. This is my blog about the nature on my doorstep and further afield. Facebook fans 225. Twitter followers 4,369. Texas About Blog We are a coalition of organizations and individuals who want to reconnect children and families with nature for a healthier, happier and smarter Texas. Facebook fans 5,128. Twitter followers 716. Facebook fans 862. Twitter followers 9,163. About Blog Just a nature blog, take a look around. I do not own the photographs. Submit your photos. Ottawa | Ontario, Canada About Blog The Canadian Museum of Nature's vision is to inspire understanding and respect for nature. We advance this vision by providing evidence-based insights, inspiring visitor experiences, and real engagement with nature's past, present and future. Facebook fans 18,155. Twitter followers 80,851. Malta About Blog Nature Trust Malta (NTM) is a non-profit, non-governmental, environmental organization working in Malta and is active both locally & internationally. NTM is committed to the conservation of Maltese nature by promoting environmental awareness, managing areas of natural and scientific interest, and lobbying for effective environmental legislation. Facebook fans 4,549. Twitter followers 276. Ocean Isle Beach, NC About Blog Shallotte River Swamp Park has exciting family attractions. Come to Ocean Isle Beach, NC, for incredible zip line tours and outdoor adventures. Facebook fans 8,065. Twitter followers 279. Dorset About Blog I write about politics, nature the environment. Some posts are serious, some not. These are my views. Facebook fans n/a. Twitter followers 5,858. Comox Valley, BC About Blog Comox Valley Nature (also known as the Comox Valley Naturalists Society) is a non-profit society affiliated to BC Nature consisting only of unpaid volunteers. Facebook fans 334. Twitter followers 521. Sitka, Alaska About Blog Dedicated to learning about and sharing the Natural History of Sitka, Alaska. Facebook fans 354. Twitter followers 71. Crane Lake, MN About Blog We are the tourism and visitors bureau for Crane Lake, Minnesota. We'll be sharing information about our area. Facebook fans 1,362. Twitter followers 115. Derby About Blog Psychologist researching improving connection with nature: Good for nature, good for you. Facebook fans n/a. Twitter followers 3,189. Lima, Peru About Blog The nature writing of Jessica Groenendijk, fusing her adventures in nature with her passion for wild words and photography. Slovenia About Blog Our Blog with thoughts on nature and nature conservation in Slovenia, tips on places to visit and information about animals and plants. We are a specialised tour agency offering wildlife holidays and day trips to the best nature areas in Slovenia. Nature in colour aims at connecting people with nature by organising day tours and wildlife holidays and by producing nature-inspired gifts. Facebook fans 377. Twitter followers n/a. Denver, CO About Blog WinterWoman is Jennifer Schlick, a teacher-naturalist living and working in Western New York. Facebook fans 6,061. Twitter followers 891. Shetland Islands, Scotland About Blog Nature photography and wildlife encounters in the Shetland islands to compliment my wildlife tour company Shetland Nature. Facebook fans 20,120. Twitter followers 3,609. Texas, United States About Blog The author of this blog is interested in everything about nature. Moravia, Czech Republic About Blog This blog is by Leon Niemoczynski, a Philosopher and Naturalist. Michigan About Blog I have a Ph.D. in zoology from the University of Michigan and have taught a variety of biology courses in both universities and small colleges. My avocation is the study of insects, amphibians, reptiles and plants. Surrey About Blog The blog of a young 15 year old naturalist. Loves wildlife photography and filming, painting and blogging. Cairngorms Young Nature Presenter 2015 and is an aspiring presenter. Facebook fans n/a. Twitter followers 759. Richmond,B.C. About Blog Terra Nova Nature School offers educational programs for children and families in an outdoor setting using an emergent and place- based curriculum. Terra Nova Nature School is inspired by the schools of Reggio Emilia and the Forest School movement. Facebook fans n/a. Twitter followers 1,099. About Blog Keep up with articles on nature from Reflections of the Natural World. About Blog Inspiring people to care about the planet! National Geographic is the world's premium destination for science, exploration, and adventure. Through their world-class scientists, photographers, journalists, and filmmakers, Nat Geo gets you closer to the stories that matter and past the edge of what's possible. Facebook fans 45,945,840. Twitter followers 22,471,926. Facebook fans 2,778,877. Twitter followers 1,451,502. Los Angeles, CA About Blog Explore Oceans is a channel devoted to all nature involving water. Its mission is to connect people with extraordinary cultures and ideas, to inspire lifelong learning, and to cultivate the spirit of compassionate giving. Facebook fans 9,304,683. Twitter followers 110,799. Facebook fans 1,290,573. Twitter followers 884,643. New York City About Blog The American Museum of Natural History is one of the world's preeminent scientific and cultural institutions. Since its founding in 1869, the Museum has advanced its global mission to discover, interpret and disseminate information about human cultures, the natural world and the universe through a wide-ranging program of scientific research, education and exhibition. Facebook fans 1,191,511. Twitter followers 430,876. Facebook fans 682,289. Twitter followers 45,648. Ottawa, Ontario, Canada About Blog We're the oldest national nature conservation charity in Canada. Our mission is to protect and conserve wildlife and their habitats in Canada by engaging people and advocating on behalf of nature. Australia About Blog My Name Is Miller Wilson, I am 14 years old Throughout my videos, I am going to bring you closer to nature, from cute little creatures to down right deadly snakes, And all animals in between. Facebook fans 7,520. Twitter followers 403. Ireland About Blog Organic Gardening - Beekeeping & Seed Saving Channel. On this channel you can learn all about organic gardening techniques. Watch videos on Youtube. Facebook fans 1,352. Twitter followers 1,153. Ithaca, NY About Blog Learn the secrets of nature with Cornell University students. These beautiful STEM videos explore biodiversity and ways of understanding nature. They bring to life core ideas from the Next Generation Science Standards. New York, USA About Blog As one of the most watched documentary film series on public television, NATURE delivers the best in original natural history films to audiences nationwide. Facebook fans 724,550. Twitter followers 99,492. Bristol, England About Blog The Bristol Nature Channel explores nature's hidden secrets, unravelling the stories of our native wildlife. Facebook fans n/a. Twitter followers 1,041. The Netherlands About Blog Amazing Nature HD and 4K video downloads with soothing sounds of nature and relaxing music are available. Explore the most amazing national parks videos and HD nature landscapes in our virtual cycling and walking videos all recorded with the relaxing sounds of nature. Facebook fans 209. Twitter followers 64. Tasmania About Blog Bushwalks and hikes in Tasmania and the world. About Blog Where Nature Meets Culture—Plus Wildfire, Dogs, Environmental News, and Writing with a Southern Rockies Perspective. About Blog This blog is for the beautiful animals and landscapes that fill our world. The winds will blow their own freshness into you, and the storms their energy, while cares will drop off like autumn leaves. Quechee, Vermont About Blog Vermont Institute of Natural Science(VINS) is a non-profit organization. Its mission is to motivating individuals and communities to care for the environment through education, research and avian wildlife rehabilitation. Facebook fans 10,804. Twitter followers 448. North Yorkshire About Blog A small dude with a big love of nature. I'll be writing about my nature hunts and what I find. I'm always looking for new things and love learning about the world around us. Facebook fans n/a. Twitter followers 2,964. Eastern England About Blog This blog is by Mike Weedon, a birder, wildlife-watcher, dibbler in photography. Ferma, Crete, Greece About Blog Cosultant naturalist jn Crete, Greece. I have been publishing the Crete Nature blog that I am pleased to say now attracts hundreds of readers a week. ON, Canada About Blog Chronicling my birding and other outdoor explorations around Ontario and beyond. I'm a birder and all-around naturalist. Facebook fans n/a. Twitter followers 868. About Blog I am a writer and nature photographer, living in a small rural village in the Samford Valley. Here on Australia’s east coast, surrounded by the Samford State Forest and enclosed by four rugged mountains, I enjoy exploring new and interesting ways to engage with the beauty of the natural world. About Blog My website includes blogs about wildlife I have seen in my garden or on walks and conservation articles, as well as a few photos. Colorado About Blog Dedicated to the enjoyment and conservation of birds and nature. Ohio, United States About Blog I am a professional musician, educator, and naturalist. I study the songs of birds, insects and amphibians of NE Ohio and teach people not only to identify them, but also how to listen for their context and interactions. Moncton, NB, Canada About Blog We spend considerable time on all facets of Nature including Birds, Butterflies, Dragonflies, Moths, Mammals, Wild Flowers, Mushrooms, Fish, Amphibians, Astronomy, etc. Topics cover all aspects of Nature. Glasgow, Scotland About Blog My name is Michael Sinclair and I’m a young photographer from Scotland with a passion for wildlife and nature conservation.This blog includes a selection of nature photographs all taken by me. Facebook fans n/a. Twitter followers 392. California, United States About Blog Stories and scribbles on my interactions with the natural world. Regularly features my wildlife research and general addiction to field biology and botany (including the use of camera traps to inventory and document wildlife), as well as tales and natural history from the incredible California lands. UK About Blog My name is Logan Johnson, teenage birder, ringer, all round Naturalist and Reroute member and I have started this blog to share and record my sightings, trips and adventures as I explore the world whether birding or otherwise. Key Biscayne, FL About Blog My Nature & Travel blog includes reviews, tips, travelogues, and general nature- and travel- related tales, written in a creative non-fiction style. Most entries are illustrated by my photography, and more of my images can be seen in my photo gallery. Facebook fans 357. Twitter followers 423. Tucson, Arizona About Blog Senior Leader for WINGS, Inc., leading birding and natural history tours to the western United States, Jamaica, and all throughout Latin America, specializing in Mexico, Costa Rica, Brazil, Peru, and Bolivia. About Blog This is a home for true nature stories and photography, mostly from public lands near my home in San Francisco. Pontypool, Gwent About Blog Time served lifelong naturalist dispelling the myth that there's no wildlife in the South Wales valleys. Lake County, Illinois About Blog This blog is an active effort to keep readers informed of current natural events and to offer helpful suggestions for exploring local nature niches in Lake County, Illinois. Its mission is to preserve a dynamic and unique system of natural and cultural resources, and to develop innovative educational, recreational and cultural opportunities of regional value. Facebook fans 10,144. Twitter followers 4,161. Maryland, United States About Blog A blog for nature photographers, covering subjects of birds, mammals, as well as landscapes and light and life. Facebook fans 929. Twitter followers 123. Bend, OR About Blog he Nature of Bend is the only nature guide devoted solely to the plants and animals of Central Oregon. Learn to identify species and enjoy some local stories, scavenger hunts, and good humor along the way. Facebook fans 156. Twitter followers 50. Ontario, Canada About Blog An appreciation of life on the upper Great Lakes of Ontario, Canada. New York, United States About Blog The Northeast Naturalist is a community of outdoor lovers, conservationists and educators in the northeastern United States and adjacent Canada. Facebook fans 991. Twitter followers n/a. About - I'm James Miller, I'm 16, and I am an aspiring nature presenter, as well as an amateur photographer, filmer, artist and blogger – so basically a general wildlife enthusiast. About - Hi I'm Dr Karl Shuker. I am a Zoologist & author writing on cryptozoology (mystery animals) & zoo mythology. My blog ShukerNature explores cryptozoology & animal mythology - bigfoot, chupacabras, yeti, vampires, sea monsters, Nessie, sasquatch, dragons, mystery cats. About - Psychologist Derby Uni researching the human factors of our connection with nature: good for nature, good for you! About - A North Yorkshire nature addict. I'm always looking for new things and love learning about the world around us. This is my account of my explorations and experiences. 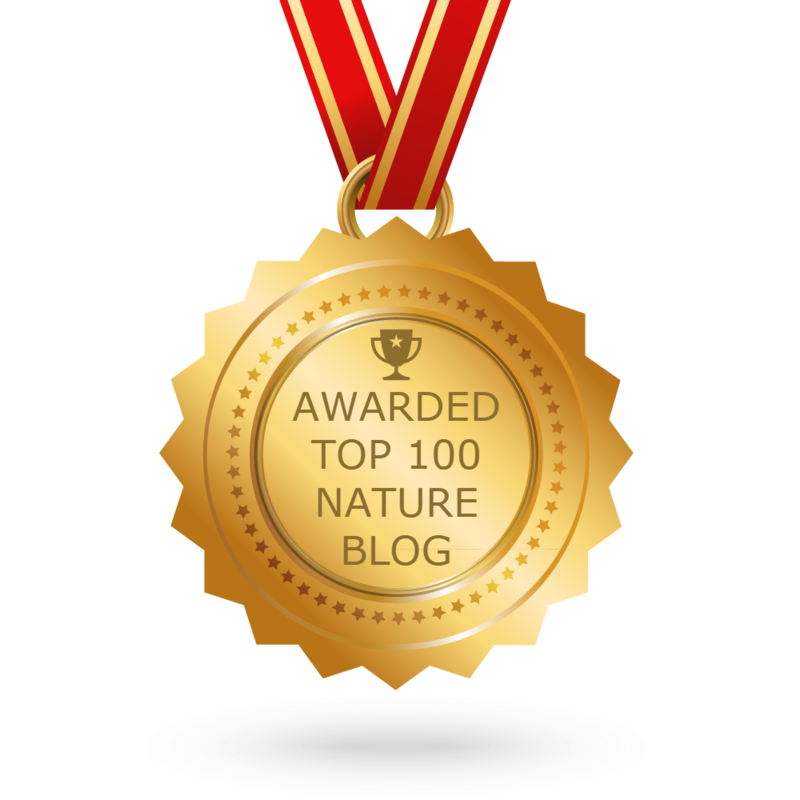 CONGRATULATIONS to every blogger that has made this Top Nature Blogs list! This is the most comprehensive list of best Nature blogs on the internet and I’m honoured to have you as part of this! I personally give you a high-five and want to thank you for your contribution to this world.